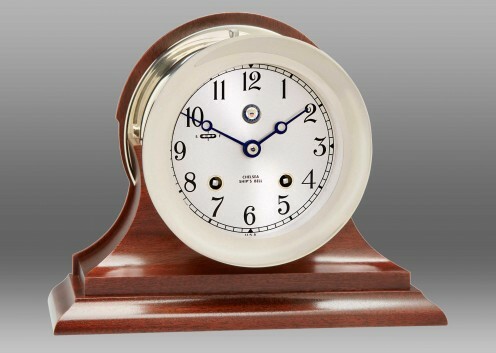 This distinctive, handcrafted timepiece signals the passing of time with gentle, rich-sounding chimes – eight bells at 4, 8 and 12 o’clock to mark the end of a mariner’s four-hour watch, with one bell the first half-hour after, plus one additional bell with each subsequent half-hour. 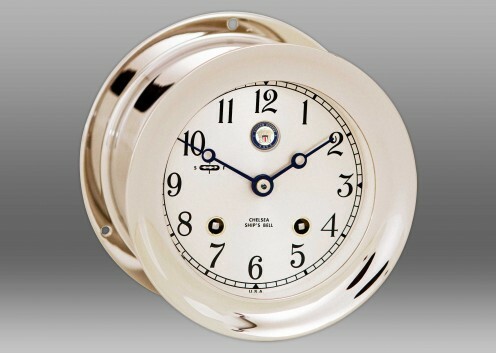 Behind its classic, hand-silvered dial, 3364 precision brass parts and an 11-jewel movement, all of which are made in Chelsea, Massachusetts, all of which are made in Chelsea, Massachusetts, ensure accuracy in time and enduring quality for years to come. 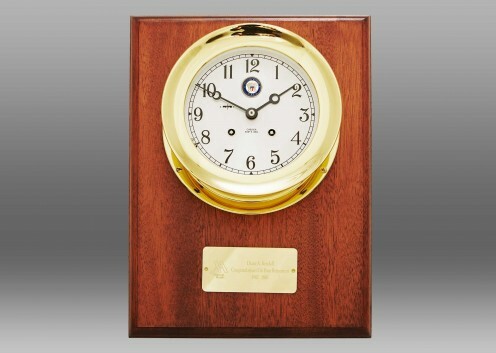 Since the first patented Ship’s Bell left our factory in 1900, it has been held as the standard by which all other Chelsea clocks are measured. 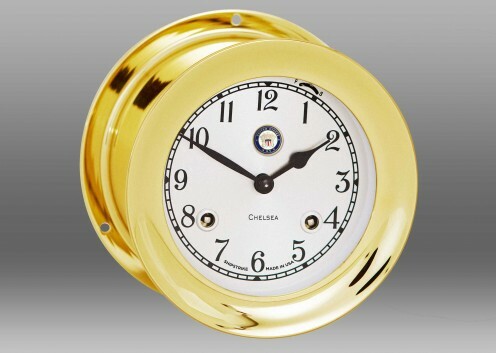 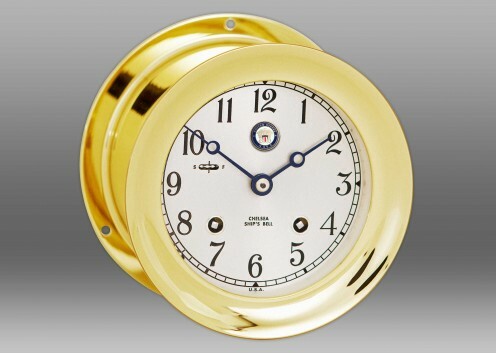 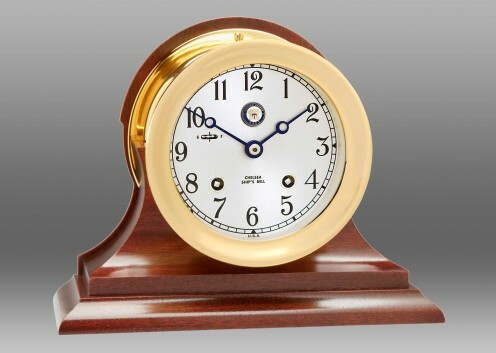 The Ship’s Bell Clock is available in 4 1/2 inch, 6 inch and 8 1/2 inch dial sizes, click change product options above to view all Ship’s Bell product options.